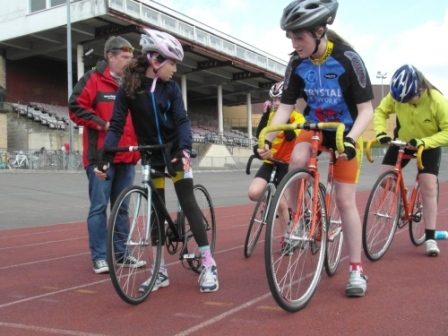 Dave taking young track riders through some confidence building drills. Track Riding, made popular in the UK by the extremely successful exploits by Team GB at an increasing number of high profile competitions, is one of the most natural and exhilarating of the cycling disciplines. In comparison to road racing and mountain biking, track cycling is a discipline that places as much emphasis on strategy and subtle technique as on physical fitness, power and stamina. We are fortunate enough to be able to hold Coaching Sessions at Welwyn Track in Hertfordshire. This takes place on an outdoor velodrome – a 460m tarmac oval, with straights banked at 12 degrees and the corners banked at a moderate 30 degree angle. The bikes and equipment used by the riders have no gears or brakes, and bear little semblance to road-going machinery. Welwyn Track also has a flat running track alongside the cycle track. This is ideal for teaching novice riders the art of starting and stopping a fixed gear bicycle in a controlled environment. 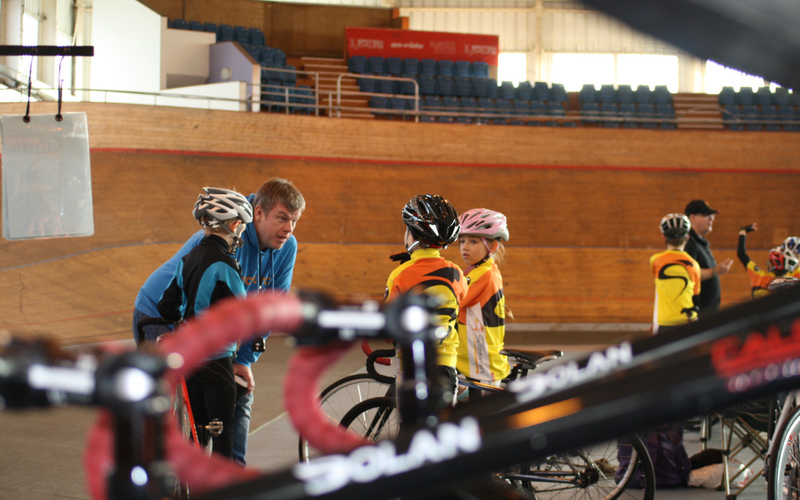 We are happy to plan and execute track coaching sessions for any rider level, and can even provide track cycles for riders that do not have their own track bikes. School and Corporate Track Days are possible. Please contact us for further details.